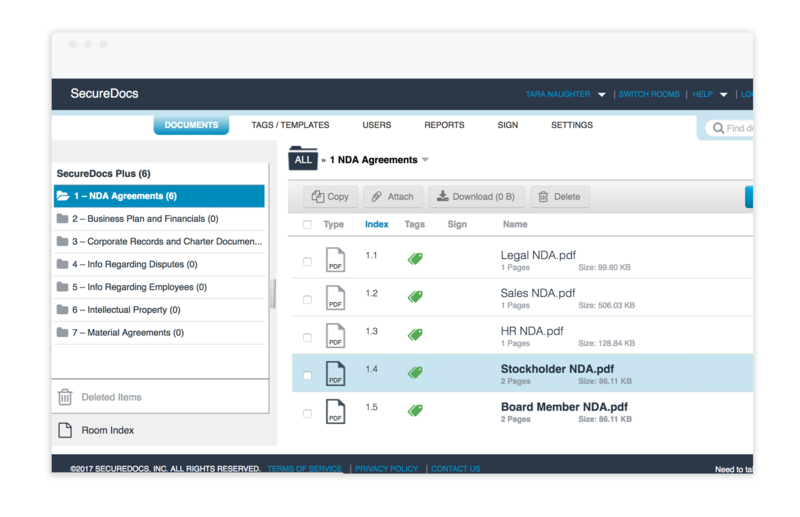 SecureDocs LTR is a simple, affordable long-term solution for businesses looking to securely store, track, and report on critical corporate contracts, intellectual property portfolios, and other sensitive business information. 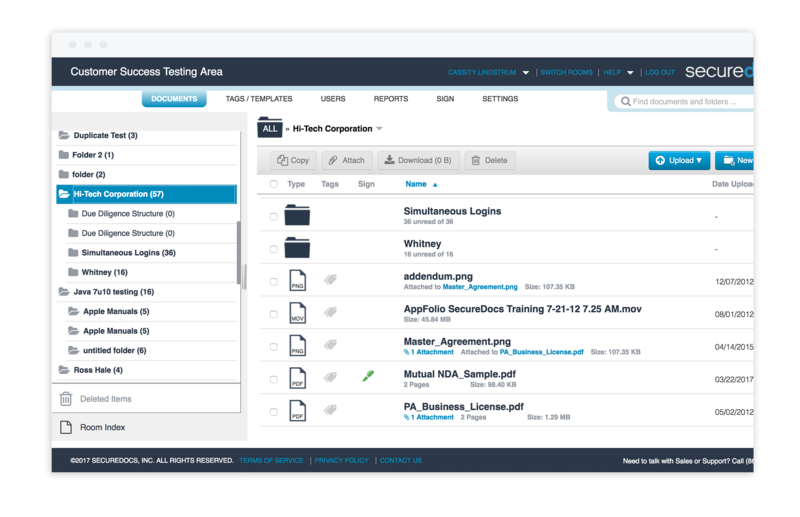 Store all of your critical corporate information in a single system of truth, and never miss an opportunity again. Utilizing SecureDocs LTR as a central repository allows you to securely store and quickly access all of your corporate documentation. Identify documents with information that is important to your business. 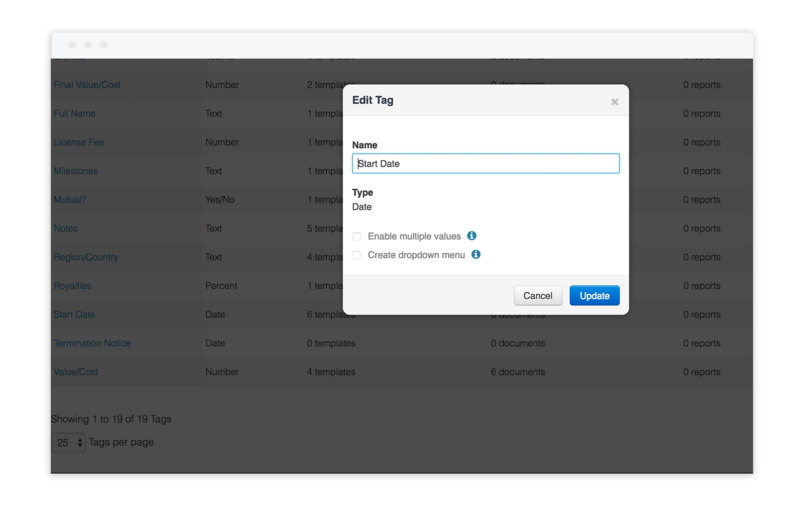 SecureDocs LTR allows you to attach unique identifiers to your documents, then create reports to save and share around any data-point you choose. 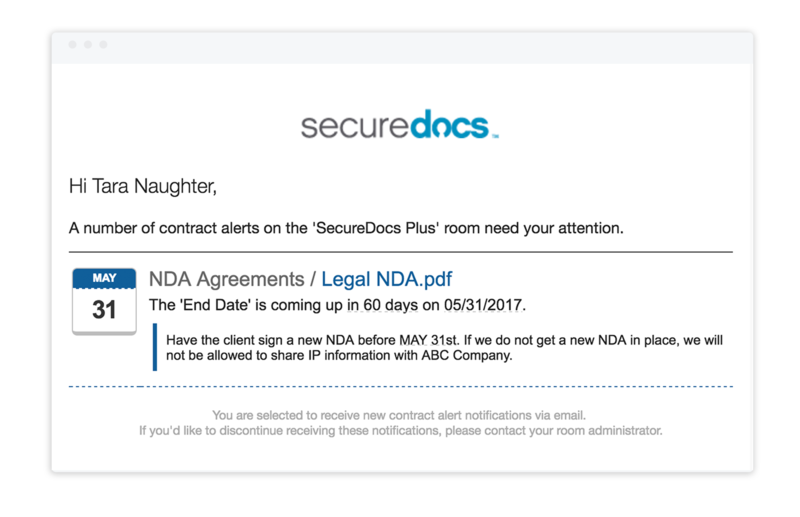 Whether you are renegotiating a contract or expecting an upcoming expiration date, SecureDocs LTR alerts you of any future date you choose. OCR text search allows you to search within your repository quickly, helping you find the information you’re looking for in seconds- not hours. Secure and control your corporate data with SecureDocs LTR, and protect the value of your company. 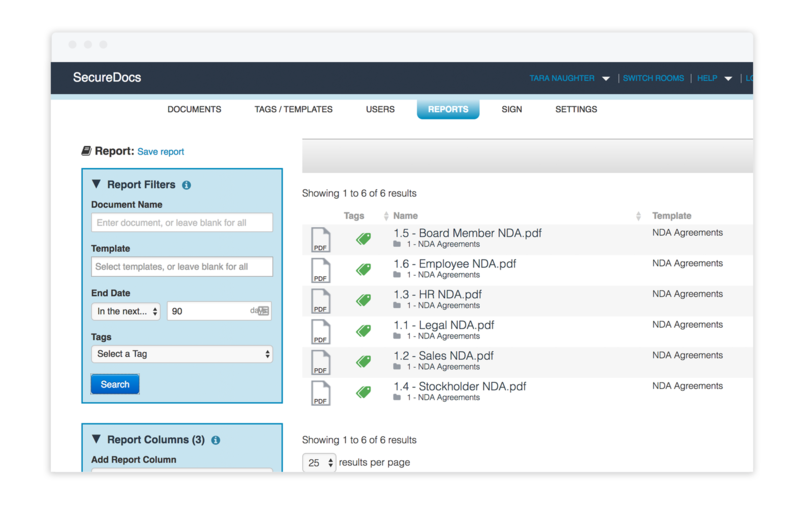 Set permission-based user roles to control various levels of access to documents and folders. 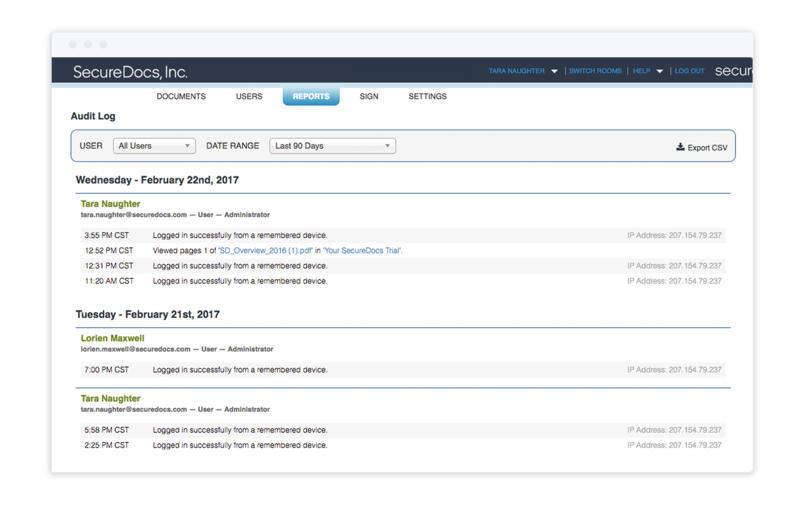 Track every interaction with your corporate information down to the user, date, time, and type of action taken. 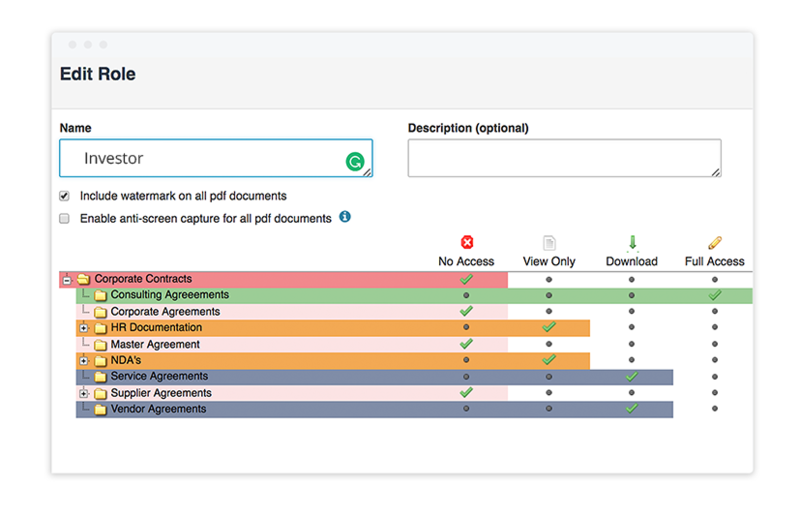 Sign and execute NDAs and other agreements in seconds using the SecureDocs LTR built-in electronic signature with templates. 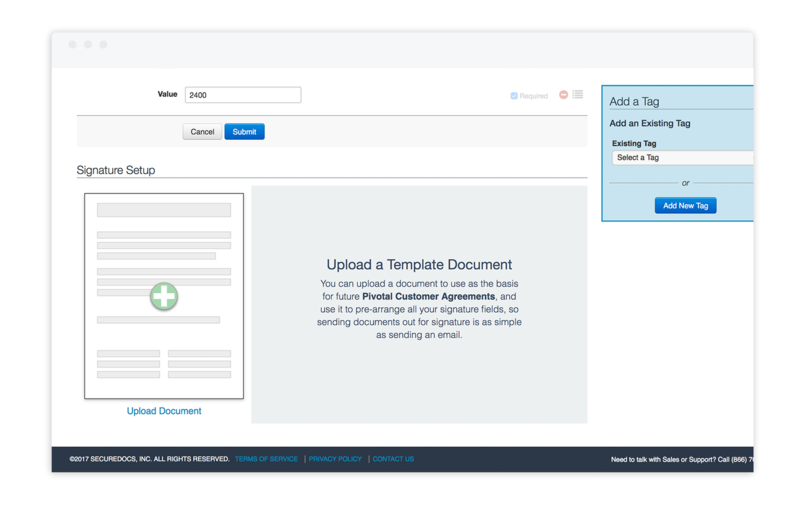 All of your signed agreements will automatically be tracked and securely filed immediately. Remaining secure while you wait for SecureDocs LTR to alert you when the document needs your attention in the future. SecureDocs LTR utilizes the Amazon Web Services (AWS) platform, the leader in online security, and has a custom feature set built for security including encryption of data and two-factor authentication. SecureDocs LTR gives you the features you need to secure and manage your business documents for $600/month with unlimited users & documents, 24/7 support, and data migration included.